Open interest in JPY futures markets increased by around 1.2K contracts on Friday. In the same line, volume increased by almost 66K contracts, reverting the previous drop. 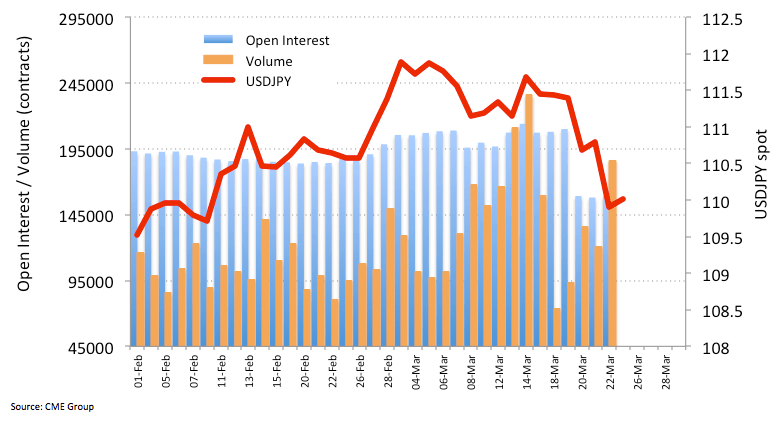 Friday’s down move in USD/JPY was on the back of rising both open interest and volume, a sign that could morph into extra JPY strength and a probable visit to the 109.00 neighbourhood in the near term.